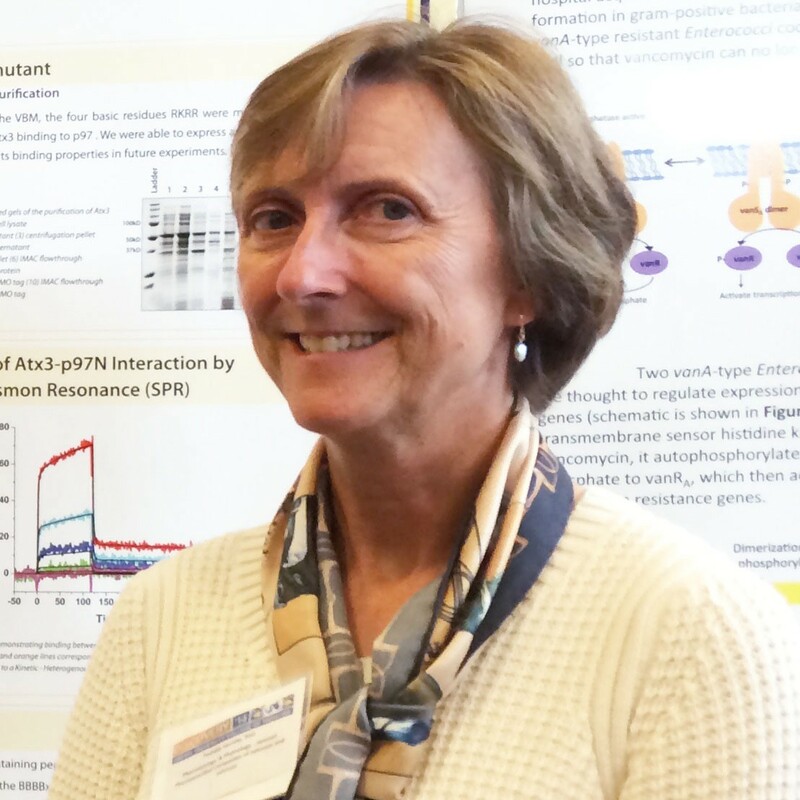 Pamela Hornby, PhD, AGAF, attributes the beginning of her successful career path to a PhRMA Foundation Research Starter Grant in 1991. I was exposed first-hand to the morbidity associated with gastrointestinal distress as a teenager due to my mother’s illness and surgeries. Based on my experiences taking care of her, I expected that I would become a nurse and did not plan to complete a Ph.D., and become a Professor of Pharmacology. I certainly never imagined that ultimately, through my leadership with a great team at Janssen J&J, we would discover and characterize eluxadoline, which is now a marketed drug. Along the way I have gained experience in a diversity of cultures and teams as a professor, consultant and an R&D leader and in the disciplines of Gastrointestinal, Immune and Metabolic Pharmacology. I have also worked with a variety of therapeutic molecules from large protein biologics, peptides and more traditional small molecule chemicals. My training in Physiology (Ph.D. University of Kentucky), Neuroscience (University of Rochester NY), and Pharmacology (Georgetown University Medical School) enabled me to join the Department of Pharmacology, Louisiana State University Health Sciences Center (LSUHSC), New Orleans. There, as an early career scientist, I can directly attribute the start of my career path to obtaining a PhRMA Foundation Research Starter Grant. The award, which was to discover “Potential neuronal targets for the pharmacological management of GI dysfunction”, was the first award I received as an independent principal investigator (PI). In a domino effect, this recognition paved the way to other Foundation and NIH grant awards. I rapidly rose through the ranks at LSUHSC and built an internationally-recognized laboratory that made significant contributions to the understanding of drug action in the Brain-Gut axis. I was also exposed to pharmaceutical research. My young family and I enjoyed the summer away from the usual heat and humidity of New Orleans while working on research at AstraZeneca in Molndal Sweden! All these experiences led to my taking a role as GI team leadership at J&J Pharmaceutical R&D, and the discovery of Viberzi (eluxadoline or MuDelta) a mixed mu/delta opioid receptor modulator that the US FDA approved on May 27th 2015. It was launched shortly afterwards for treatment of patients with diarrhea-predominant Irritable Bowel Syndrome. I am a proponent of life time learning, though at times I have felt pretty uncomfortable living outside my comfort zone. I am amazed at how much can be accomplished with a diverse group of committed and persistent individuals. In Biotechnology (formerly Centocor) I led translational research on innovative protein & device platforms that could shape the future of effective treatments. In collaboration with engineers we exploited intestinal electrical stimulation as a novel device for metabolic disease. I also took the concept of oral delivery of monoclonal antibodies from initial mechanistic studies in neonatal rodents to proof-of-concept in nonhuman primates to understand the potential and limitations. I am currently working within Metabolic Diseases to identify the targets and pathways by which intestinal function can be modulated to provide weight loss and resolution of co-morbidities in Obesity. I continue to be active in the academic community. As adjunct Professor in the Dept. Pharmacology and Physiology, Drexel University Medical School I contribute to the educational mission of the College. I have research projects with Master’s and Ph.D. students. I am also Chair of the Translational & Clinical Pharmacology Division of the American Society for Pharmacology and Experimental Therapeutics (ASPET) where the Executive Committee strives to provide opportunities for career development and mentoring for trainees and early career scientists.